Discussion in '"Other" For Sale/Trade/Wanted' started by watzshakinbacon, Feb 13, 2018. 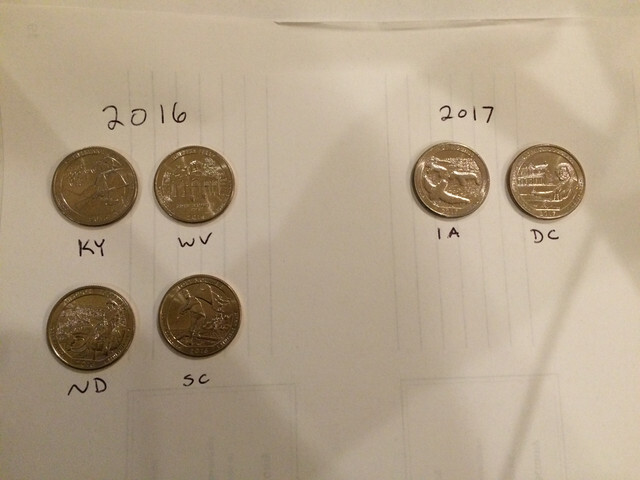 I figure this is kinda random and maybe doesn't really make sense sending coins through USPS, but I need some help. Here goes! Look at those empty slots!!! I'll look through what I have at home tonight and let you know if I have any of your missing ones. 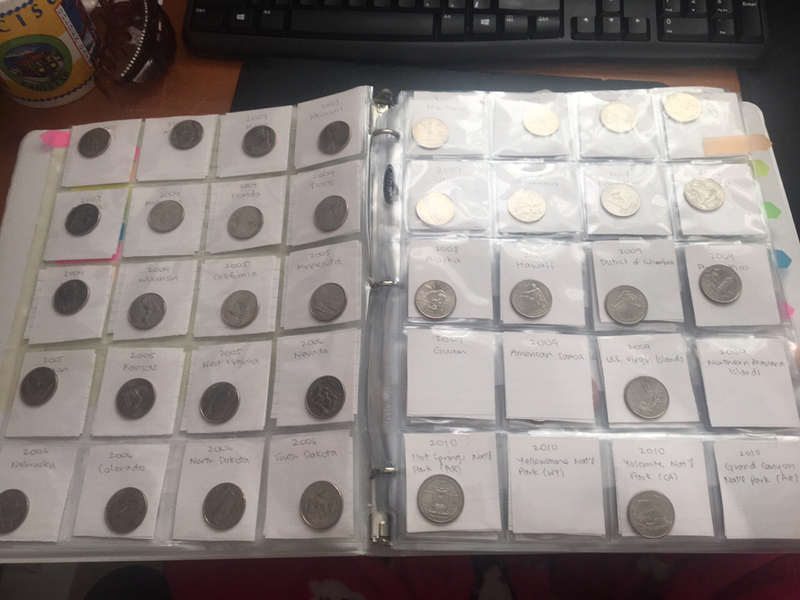 I also collect them and am missing some (I have all 50 original ones, most or all of the second wave of 50, and after that my collection drops off somewhat); I'll have to go through my collection books and see what I still need. I collect too. I'll see if I have extras. HAHA you're such a hustler, Lucy!!!! I have a giant jar of change that I could go through if everyone posts their needs. 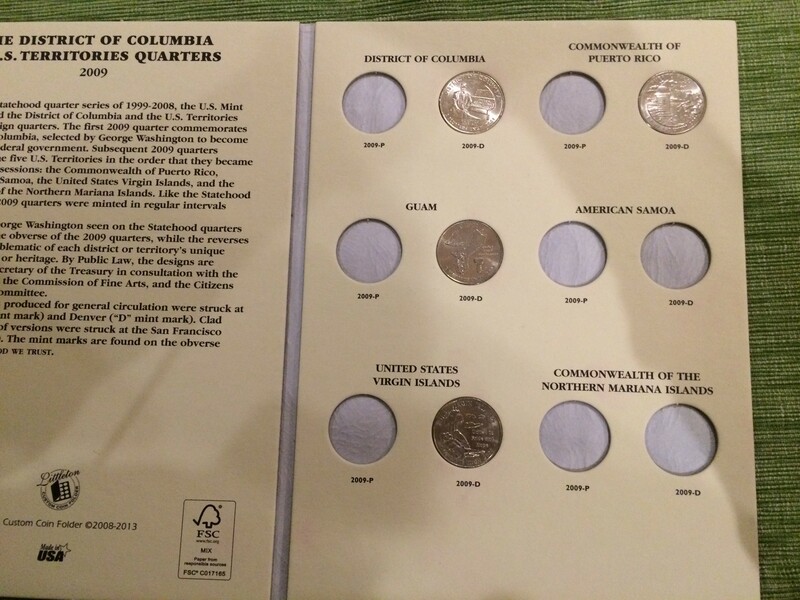 I'm pretty sure I have the first three, though I may not be able to part with Guam yet I collect them as well in a map that I have and those few don't have spaces so I've always wavered as to keep those or not. Feel free to shoot me a PM so I don't forget ! 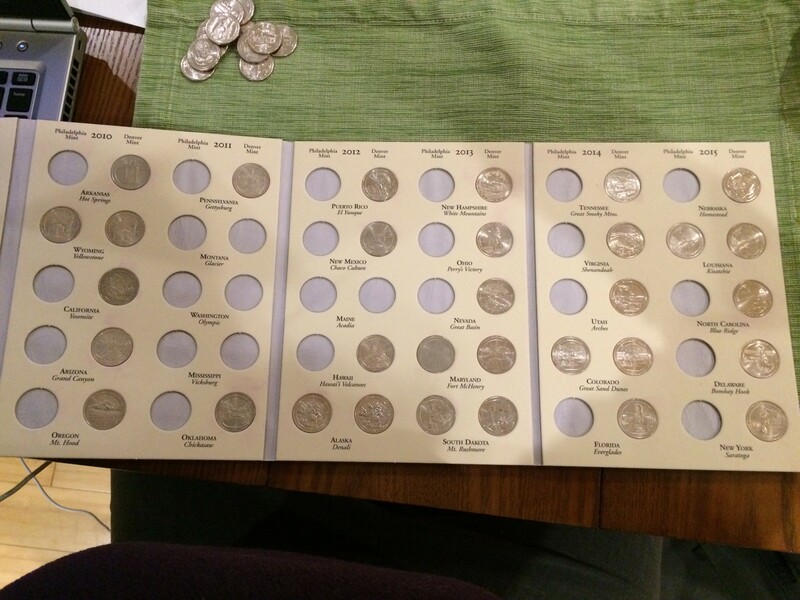 I don't want to force you to part with your quarters if you want them!! Make slots for them!! Yea! Potential assistance in completing other collections!!! You’ve sidetracked me from my scavenger hunt. I’ve got a 2011 Olympic Park and a 2011 Glacier Park. I’ll pm you a picture (they aren’t the shiniest). And everyone from Ulysses S. Grant on (excluding John F. Kennedy). @timeerkat Why does your territory book have 2 slots? one for front and one for back? I started collecting dollar coins too, but I don't take metro as often, so it's kinda on the back burner haha I only ave William Henry Harrison and James Polk. 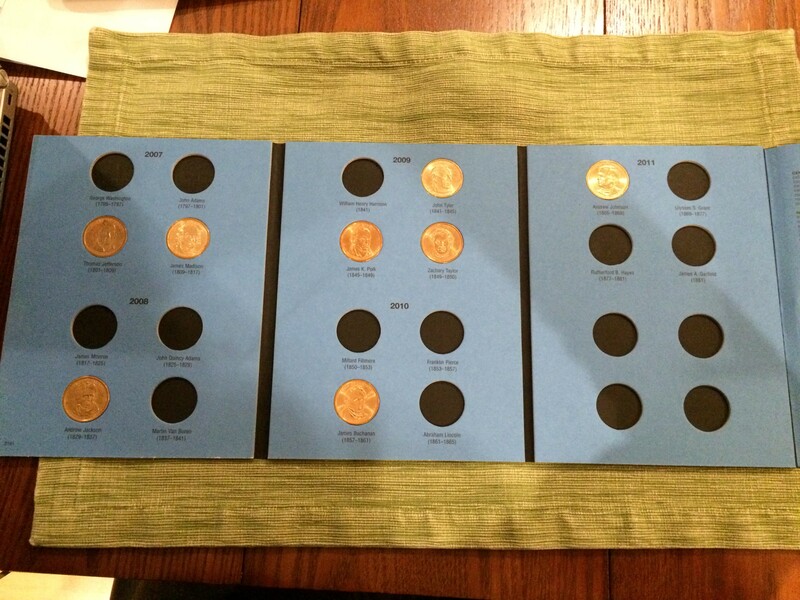 It's a two-mint book, so one slot is for the Denver Mint (-D) and one slot is for the Philadelphia Mint (-P). No problem! I'll bring them to the blocks release along with your pins. 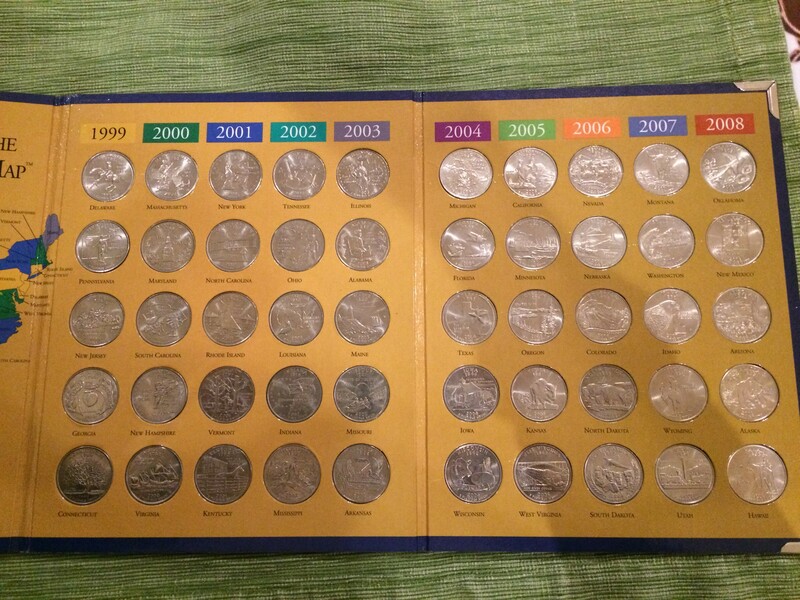 And yep, the dollar coins is a total backburner collection for me too, but I figured I'd throw it out there just in case someone happens to have one of my missing ones. I take it that for folks who have not specified, either P or D is acceptable? I have quite a few of these and will see who I can help out as soon as I go through them in the next couple of days (might be the weekend). I think I can largely cover most if not all, as long as you don't care, or are good with P (being an East Coaster). Since they're identical except for the mint letter on the front, I don't mind which mint it's from. Looks like I really just have a bunch of states and the parks that you all already have... Sorry! Thank you for looking anyway! I don’t mind which mint either. 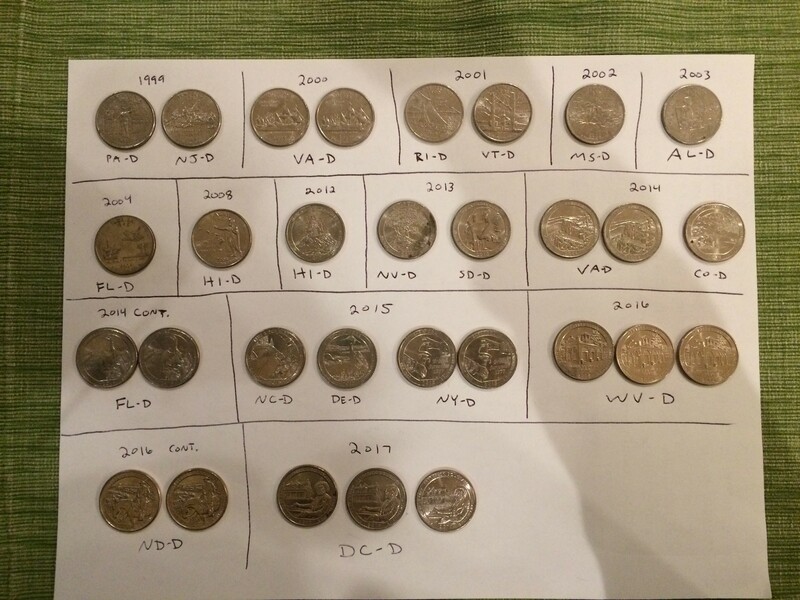 Getting tired of inspecting every quarter I come across for the ones we missed 6 years ago! On the right under “in God we trust”. Very small. oooooh i never noticed that! I did a quick look and didn't find as many as I thought I would but I do have the below ones that folks mentioned as needing. I'll look some more this weekend to see if I can add to the list. Dibs on Guam and Northern Mariana Islands at least!! I’ll give the others a chance hehehe but if no one claims by tonight, I’ll be back! !